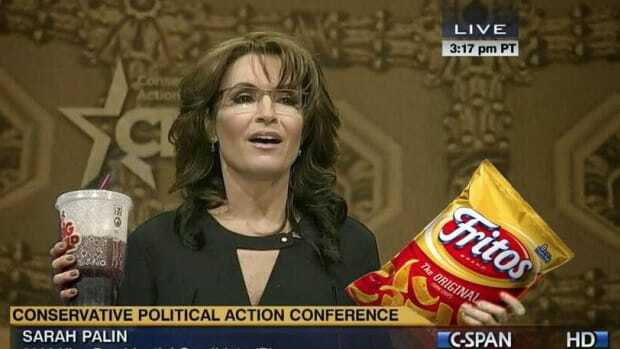 Holy hell, Ms. Palin, what did the English language ever do to you to deserve this punishment? 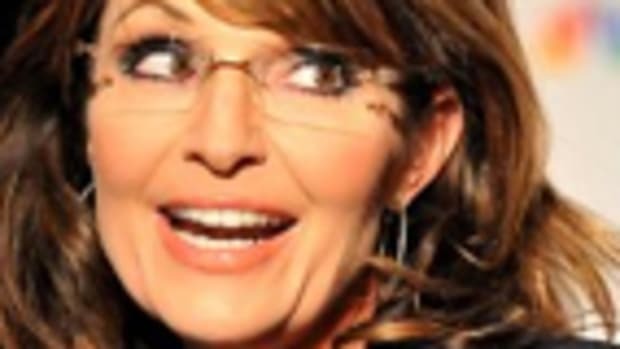 Sarah Palin appears to have drunk-posted an attempted takedown of former Gov. Martin O&apos;Malley (D-MD) on Facebook the other day, following O&apos;Malley&apos;s announcement that he&apos;s challenging Hillary Clinton for the Democratic presidential nomination. I&apos;ve long believed that there are two individuals who manage Palin&apos;s social media presence: an assistant and Palin herself. The assistant&apos;s ghost-posts are insane, but they&apos;re generally well-written and not-at-all rambling or incoherent. On the other hand, it&apos;s always abundantly obvious when Palin decides to fire off a missive herself because it&apos;s loaded with ludicrous word usages, questionable grammar and lots of word salad. Put another way: her self-authored posts read as if they were written by a deeply intoxicated tween, and this new O&apos;Malley post on her official Facebook page is one of her finest efforts. As cool as [O&apos;Malley] is with his rock &apos;n roll persona, this typical liberal&apos;s erroneous grasp of our Bill of Rights merely continues the strange and disastrous agenda of Barack Obama. The second part of that sentence just barely makes sense. I could see how "this typical liberal&apos;s" policies might continue Obama&apos;s agenda, but it&apos;s a little awkward to suggest that an "erroneous grasp of our Bill of Rights" continues Obama&apos;s agenda. But I get it. It&apos;s a Wasilla Mad Libs, and she scribbled "Bill of Rights" in the blank calling for "sacrosanct patriotic thing." 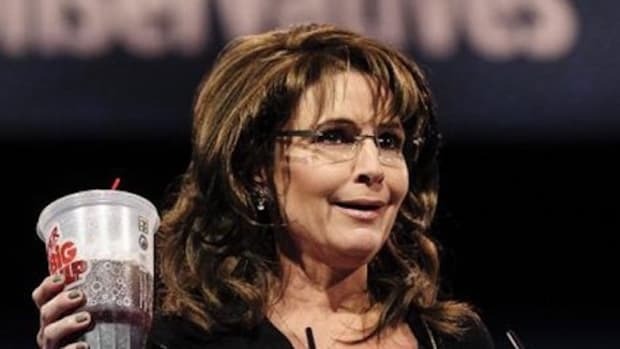 By sentence number three, Palin leaned on the irony switch. Good to know he doesn&apos;t have much chance of winning. Nice to hear this from a politician who quit halfway through her first term as governor, then who refuses to run for president herself, and whose party&apos;s frontrunners are losing to Hillary Clinton in their home states. But O&apos;Malley&apos;s the loser. Gotcha. The democrats have greased the skids for their chosen one, despite the media games that play the public with various "competing" campaigns used for gamey distractions. First, see how mature and statesman-like she is? She thinks that by not capitalizing "Democrats," she&apos;s zinging them as being less-than. They&apos;re not &apos;merican enough for proper capitalization. Her insult cortex evidently never matured beyond third grade (apologies to third graders). As for the sentence itself, hang with me on this one. She started out by condemning the notion that Clinton is the presumptive nominee, then criticized anyone who&apos;s pushing for competition in the primaries. In other words, it&apos;s bad that she&apos;s going to win, and it&apos;s bad that people are pushing for candidates to challenge her. Okeedokee. Meanwhile, the media, she wrote, is playing games "for gamey distractions." Yes, "gamey." Either she misspelled "gamy," as in "having the strong flavor or smell of tainted meat," or she seriously described the media&apos;s "games" as "gamey." We can only assume, then, that she also thinks the media&apos;s distractions are distractiony, and that its talking points are talking-pointy. With today&apos;s more-of-the-same distract-sphere – with the politician sounding exactly like all the others – don&apos;t you wonder if there are ANY good old fashioned Blue Dog democrats who can represent the left’s party in the 2016 race? She wouldn&apos;t be a social media diva without some hamfisted concern-trolling, would she? First, before we get into the concern-trolling -- "distract-sphere?" 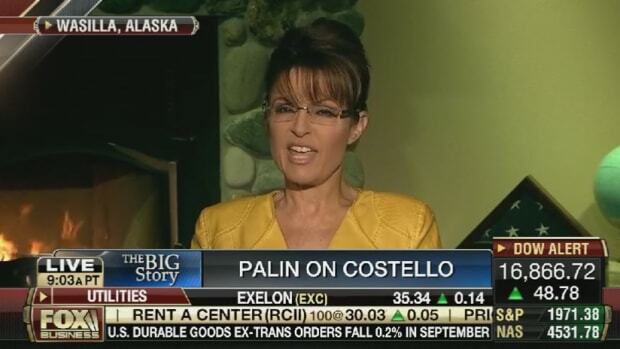 Holy hell, Ms. Palin, what did the English language ever do to you to deserve this punishment? 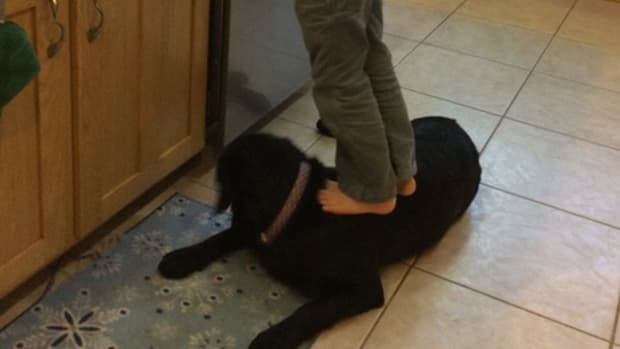 End the abuse! Anyway. Yes, I&apos;m sure all of Palin&apos;s supporters are hoping for a strong centrist Democrat to enter the race because -- why exactly? Come to think of it, were there a lot of "old fashioned Blue Dog" Democrats in the old days? Ask around. Democrats have become more conservative in the last 40 years, not less. And what&apos;s the deal with "the politician?" Did she intend to pluralize "politicians," but added "the" and dropped the "s" accidentally, or did she really mean to refer to a generic politician as "the politician?" Is she trying to use throw-back prose, not unlike suggesting she wrote this Facebook post while hepped up on "the drink" or perhaps "the drugs?" It&apos;s the same glitch that produced the phrase, "Steve very strong, he going rogue." What language is this? Now, try not to hurl while reading this next doozy. By now, most of those ol&apos; Reagan democrats have come to realize that it was the party of Lincoln and Reagan all these years fighting for and winning the abolishment of slavery, civil rights for all Americans, equal rights for women, free markets, individual liberty, constitutional protections, private sector job growth, and a sensible foreign policy rooted in peace through strength. Okay, first, "Reagan Democrats" were a short-lived electoral blip, not unlike Obama winning deeply-red Indiana in 2008. That aside, here we go again with the repeatedly debunked scam that the "party of Lincoln" at all resembles the modern GOP. Assuming she believes the party of Lincoln was composed of conservative Republicans, she might be shocked to learn that conservatives didn&apos;t abolish slavery, they seceded from the United States to preserve it (patriotic!). Conservatives also blocked civil rights legislation; conservatives tried to block women&apos;s suffrage; and conservatives have serially attempted to sabotage private sector job growth and the economic recovery for the last six years. Conservatives also believe strongly in individual liberty and constitutional protections, unless it has to do with liberty over one&apos;s uterus or equal protection relating to marriage rights. But she seriously believes conservative Republicans had anything to do with abolishing slavery or passing civil rights legislation? Good lord, she&apos;s nuts. She went on to urge disillusioned Democrats to register as independents. Why? Because Obama is coming for their guns, based on a link from two years ago. Oh, that sentence is a peach, isn&apos;t it? Forgive me for going all Grammar Nazi here, but "liberal&apos;s" should be liberals&apos;, with the apostrophe after the -- wait, did she pull another one of those "the politician" prosaic flourishes by referring to all liberals as "the liberal?" And what, then, is "the liberal&apos;s roll?" Does this one liberal -- the liberal -- have a dinner roll with your name on it? Realistically, I think she meant to write "the liberals&apos; rolls," but got all kerfuffled by the repeated plural forms. And finally, did you notice the "democrat party" pejorative in there, too? Another timely reference, given how it was popularized in the 1990s and then more or less faded away ten years ago. One last thing. 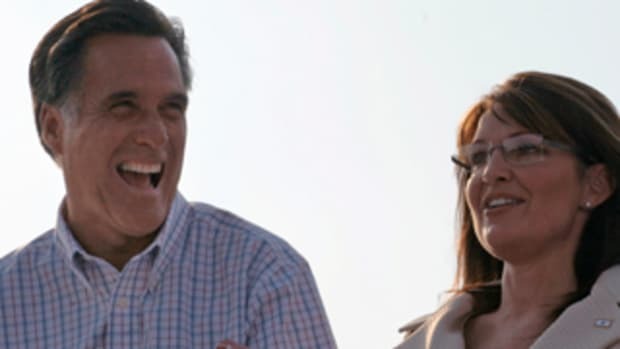 In the comments under the post, there are numerous Palin followers urging her to run for president. 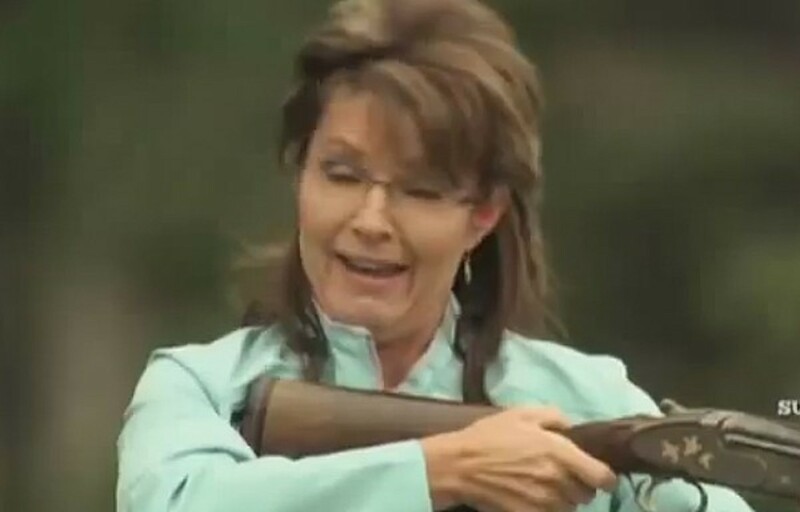 Given how Donald Trump might actually enter the race, the gods and goddesses of comedy could bestow upon the world many days of laughter should Palin decide to quit sniping from the sidelines like a schoolyard mean girl and legitimately put her money where her mouth is. 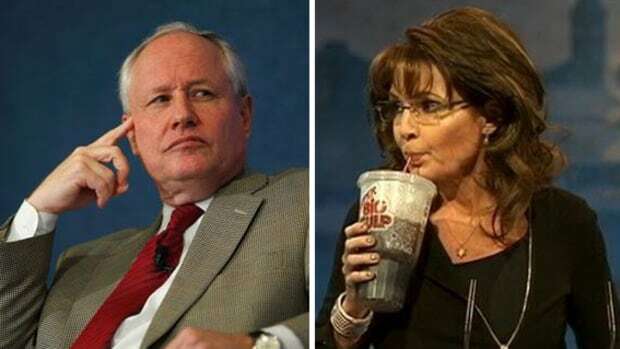 So, yes, Palin followers, keep urging her to run and if she doesn&apos;t, draft her at the convention. Do something. The world needs to laugh.